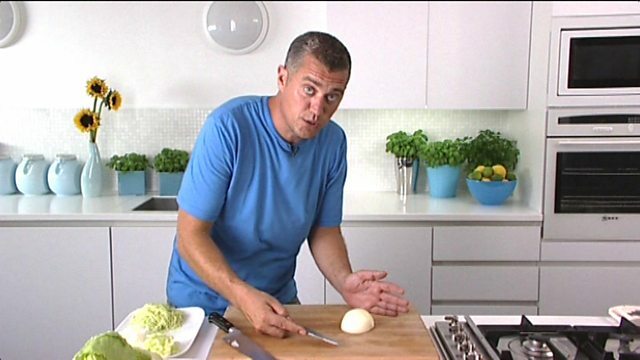 Heat the oil and butter in a large saucepan and gently fry the onion for 3-4 minutes, until softened. Add the spinach leaves and stock, bring to a simmer and cook for 4-5 minutes. Using a hand blender, process the soup until smooth, then stir in the cream and nutmeg. Season to taste with salt and freshly ground black pepper. To serve, ladle the soup into serving bowls, spoon over a dollop of Greek-style yoghurt and sprinkle over the cayenne pepper to garnish.